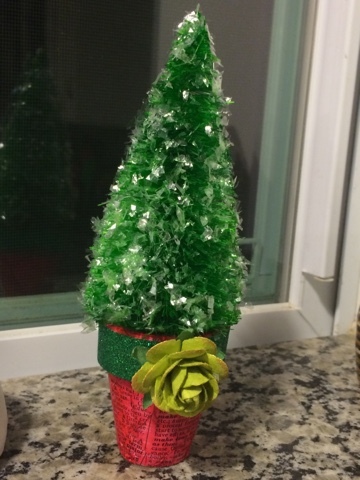 I made this little tree last year, and I'm still enjoying it. I sprayed a white bottle brush tree with a bright green spray ink, then went crazy with mica flakes. It is sitting in a mini plant pot that I covered with dictionary paper and painted with a red wash. A bit of green glitter ribbon and a flower for the trim and voilà! You now have a very sweet "vintage" Christmas tree. This would make a lovely swap gift!